Author Abraham Twerski reveals how self-deceptive thought can undermine self-esteem and threaten the sobriety of a recovering individuals and offers hope to those seeking a healthy and rewarding recovery. Abnormal thinking in addiction was originally recognized by members of Alcoholics Anonymous, who coined the term "stinking thinking." Addictive thinking often appears rational superficially, hence addicts as well as their family members are easily seduced by the attendant--and erroneous--reasoning process it can foster. 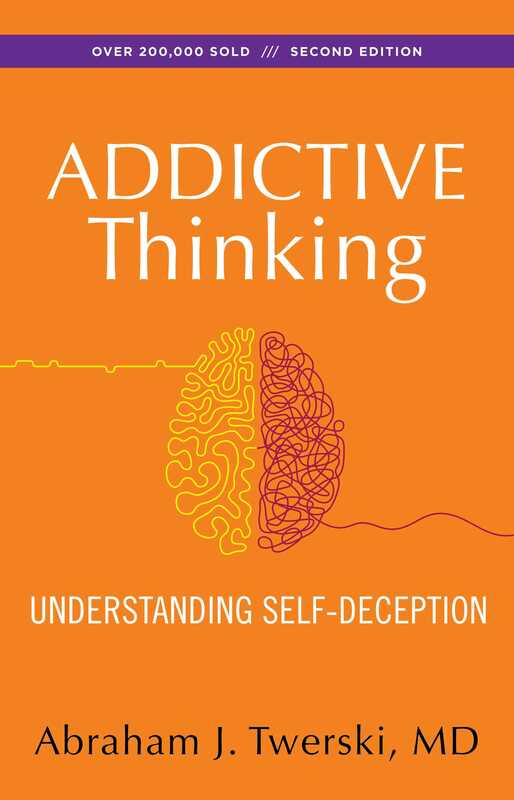 In Addictive Thinking, author Abraham Twerski reveals how self-deceptive thought can undermine self-esteem and threaten the sobriety of a recovering individual. This timely revision of the original classic includes updated information and research on depression and affective disorders, the relationship between addictive thinking and relapse, and the origins of addictive thought. Ultimately, Addictive Thinking offers hope to those seeking a healthy and rewarding life recovery.